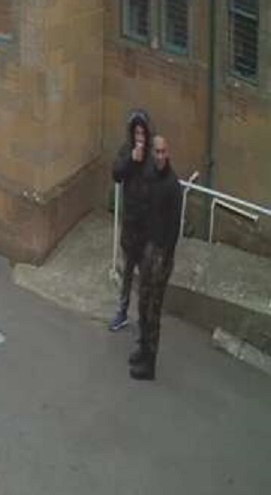 Officers are releasing a CCTV image of two men they would like to speak to in connection with a burglary at a shop in Bridport. The incident happened sometime between 4pm on Saturday 3 November and 8.55am on Monday 5 November 2018 at Babygear in Gundry Lane. Police Constable Richard Winward, of Bridport police, said: “The shop owners are devastated by the incident are we determined to identify those responsible. “I am now able to release a CCTV image of two people I would like to speak to in connection with the incident. If you are able to identify either person, please get in touch with Dorset Police.